So, the COE finally dropped to an 8-year low. You might be thinking the opportunity to get your first car is finally here. With a bit of work, you won’t end up with the store’s lemon, or a bad case of rising blood pressure. This is bordering on stating the obvious but we got to say it – check the COE prices. This could make or break your decision to take the plunge to get a brand new car. A low COE (again, stating the obvious) is an indication that the next round of COE bidding will stay around that level. So you just got to bid your time and wait. There is always the option of using an open Certificate of Entitlement (COE), which lets you drive the car away immediately. However, do check current COE prices; if they are presently low, it may be worth bidding for one. You can do this by having the dealer bid for you: just tell them the amount to aim for, and they will do their best to get you a lower COE price. This does mean you can’t drive away the car on the same day, but if you’re not in a rush it may save you money. Most dealers will advise you when it’s a good idea to try and bid; they’ll know the latest COE quotas. Ask if they don’t mention it. Whether you’re planning on a new or used car, you need to understand how car loans work. Bear in mind that the current cap on car loans is 70% of the total value if the car has an Open Market Value (OMV) of $20,000 or less. For cars with a higher OMW, the cap is 60% or less. The maximum loan tenure for a car is 7 years, and the average interest rate is about 3% per annum (but you can try different banks for a better rate). 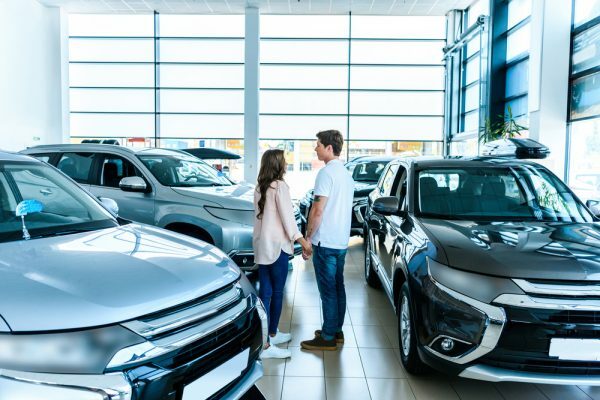 When the car dealer offers you different financing options, bear in mind that many of them receive a commission or referral fee from the institution giving the loan. Otherwise, the loan may be extended by the dealership itself. This means you must take the initiative to compare loans options yourself, as the dealers may not give you the best rates. The Total Debt Servicing Ratio (TDSR) is a cap on housing loans, and your car loan will factor into it. Under the TDSR framework, your monthly debt repayments cannot exceed 60 per cent of your income, inclusive of debts like your car loan. For example, if you earn $5,000 a month, your total loan repayments are capped at $3,000 a month, inclusive of the car loan. This means you’ll be able to borrow less for your house if you take a car loan. Factor this into your financial plans before buying. To get an inkling of how this’ll work, you can look at the typical monthly repayments for home loan packages first before you decide on how much you can commit to your car. It’s easy to be persuaded to buy a car that’s beyond your means. Never step into a showroom without fixed numbers in mind – when you don’t have one, it’s easier to persuade you to spend more. Work out the maximum you can afford, and then start by saying you can afford something 20 per cent below the given budget. If you can afford $100,000, the budget you give the dealership is $80,000. You should also enter the showroom with a good grasp of how much your desired car models are worth. Do some research on the internet, don’t let the dealer set the price ranges. (If necessary, save car listings on your phone, and point them out to the dealer when negotiating the price). As a rule of thumb, note that the price difference for a used car, even if it’s rather new (up to nine months old) can be as wide as $35,000 to $40,000. Don’t get suckered into overpaying just because the used car is “less than a year old”. If a car model has just hit the market, chances are it would cost more now than in a couple of months. It’s really not all that different from smartphones and tablets. Ask yourself if you absolutely must buy it now, as opposed to next quarter. Plus, since car purchases in Singapore are tied to the COE (Certificate of Entitlement), the only good time to buy a car would be when the COE price drops. A good tip to remember is that COE bids close on the first and third Wednesday’s of the month, and it’s best to wait until the bids close. Most dealers tend to raise car prices just before the bid ends (in the case of prices spike), so avoid showrooms at that time. In the recent case, a glitch in the COE bidding system might have caused the COE to drop. That’s because dealers were locked out of the system 20 minutes before it closed. December and January are busy months for car dealers, as this is when most people buy their cars (due to year-end bonuses). The sales staff have an easier time meeting their quota and may be less incentivised to give you a good price. Try to buy during the middle of the year. May or June tend to be slower months, and a salesperson who is two or three sales away from meeting quota may rush to close you with a lower price. Insist on being allowed to try this. When you try to parallel park the car, note how comfortable you are with its dimensions. Be sure you can judge where the corners of the vehicle are, that you can see the important angles from the driver’s seat, and that you’re comfortable parking the vehicle. This is especially true when switching from a smaller model to a bigger one, such as from a sedan to a Special Utility Vehicle (SUV) or station wagon. Pick a model least likely to land you in unpleasant car park situations. Don’t just test drive the car yourself. If it’s for your family, bring them along as well; they may not find the ride as smooth as you do. If someone else in your family is driving, be sure they’re also present. Little things such as the ride height (how high off the ground the car is) or the positioning of the brake can make a big difference to each driver. For example, on some car models, such as the Renault Megane, the parking brake is not a hand lever; it’s a pull mechanism located on the right of the steering wheel. Other drivers in your family may not like such non-traditional set-ups at the wheel. As an aside, get everyone to get in and out of the car a few times. If people are slamming their foreheads or scraping their thighs getting out, find a bigger model. Take special note of elderly or mobility-impaired passengers: they shouldn’t find it a struggle to squeeze in and out of the car. It doesn’t matter if the car is new or used, always check for feathering on the tyres. This is when the tyre treads look smooth or flattened out on one side, but are still well raised on the other. Think of it in terms of shoes – it looks like one side of the sole is more worn than the other. When you see feathering, it indicated alignment and suspension problems that will be expensive to fix later. The insidious thing is that it’s hard to notice with a casual visual inspection. So do get on one knee, and take a close look at those wheels. Most people know that high-end models, like BMW and Mercedes, require specialised parts. But note that even mid-range models have replacement part issues; cars like the Nissan Skyline, which must be imported from Japan, could be a headache to fix. Most car dealers are frank on this issue and can recommend you to an appropriate mechanic. However, remember that your auto-insurer may require you to use only approved workshops. Before you make the decision to buy, especially if it’s an unusual model, consider the maintenance issues later. Only go ahead if you’re happy to deal with the hassle. Given its significant cost, you’ll want to protect your car with the right insurance policy. You can find the most competitively priced car insurance policies in minutes. It only takes a minute to protect your ride!